Recently, many Indian states have enacted their respective Right to Service Acts, as a key administrative reform initiative. These Public Service Guarantee Acts build on the idea of the Citizen Charter – while Citizen Charters define the quality of public services, these Acts take it a step further by making a citizens’ right to public service within the stipulated time legally binding, failing which the concerned officials can be penalized. Although the legislative framework for these Acts has been established, the objectives of the Act can be achieved only by enhancing the actual delivery of services. This is contingent on several factors. Foremost among which is the need to strengthen the capacities of service providers by creating adequate and efficient supporting infrastructure along with an attitudinal change. Furthermore, for strengthening the theory and practice of public service guarantee laws across the country there is a need to create awareness among citizens about their right to a timely service. Such awareness will make the Act binding on the service-providers warning them against taking a laid back attitude towards service-provision. Seminar papers are invited from the scholars, researchers, practitioners, academicians and students on the emerging areas under the themes. 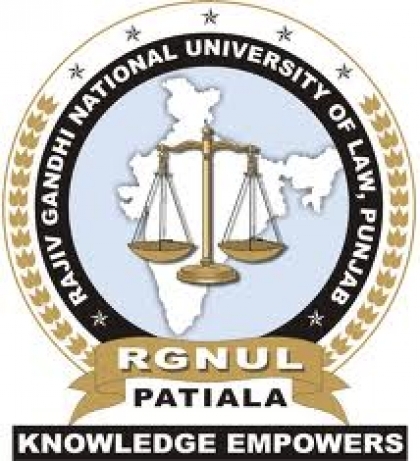 List of selected papers would be uploaded on university website www.rgnul.ac.in for presentation on the day of seminar. The review committee will further select few quality papers for publication in the Conference Volume (Proposed to be published as a book with ISBN No.). Paper should not be of more then 6000 words. It must by typed in Times New Roman Font Size 12 on A4 size paper with 1″ margin on all sides with 1.5 line spacing using MS Word application 2010. Blue Book style of referencing and footnote should be used. The paper should contain a title and abstract of 250 – 300 words. At the end of the paper, there should be a brief profile of the author indicating his/her e-mail ID and contact address.